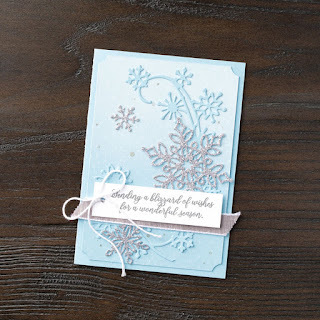 Vanessa's Card Studio: Snowflakes are in the forecast! 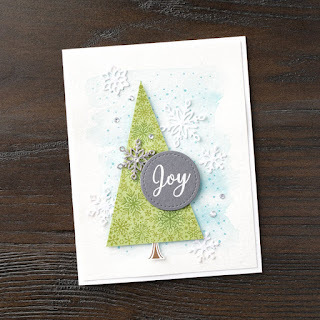 Snowflakes are in the forecast! Perhaps where you live it's already snowing, but here in Oregon we're just now cooling off a little and seeing some rain. I don't think we'll be seeing snow for some time. 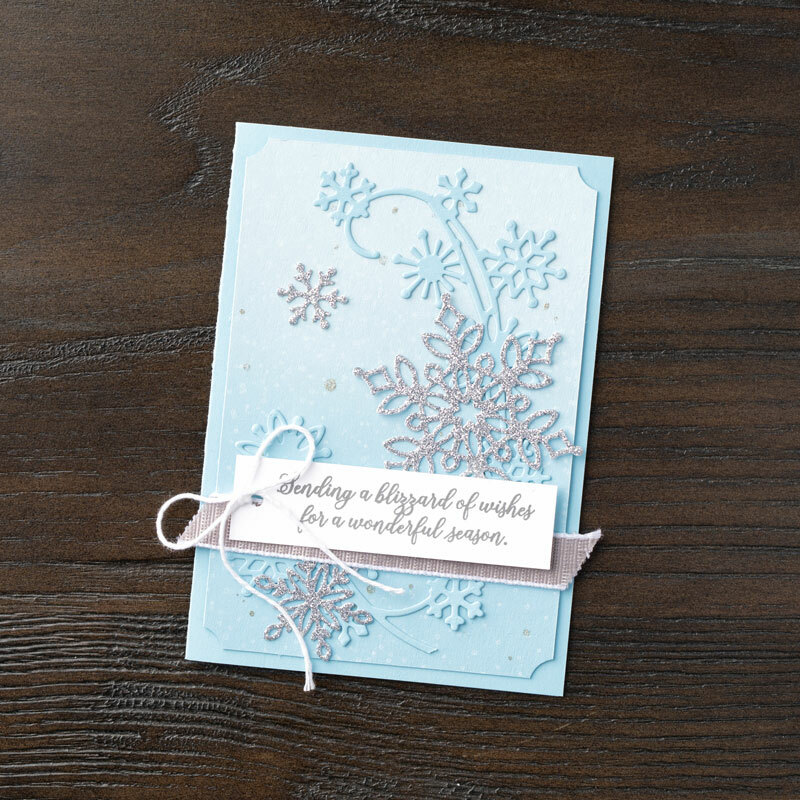 The snowflakes I'm referring to are of the crafting type. 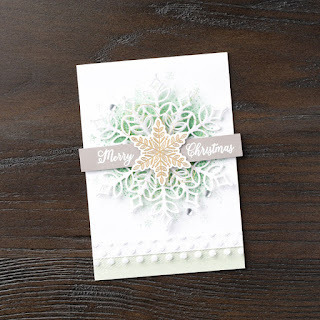 Starting November 1st (for one month only or while supplies last) a new suite of products featuring snowflakes will be available to order. 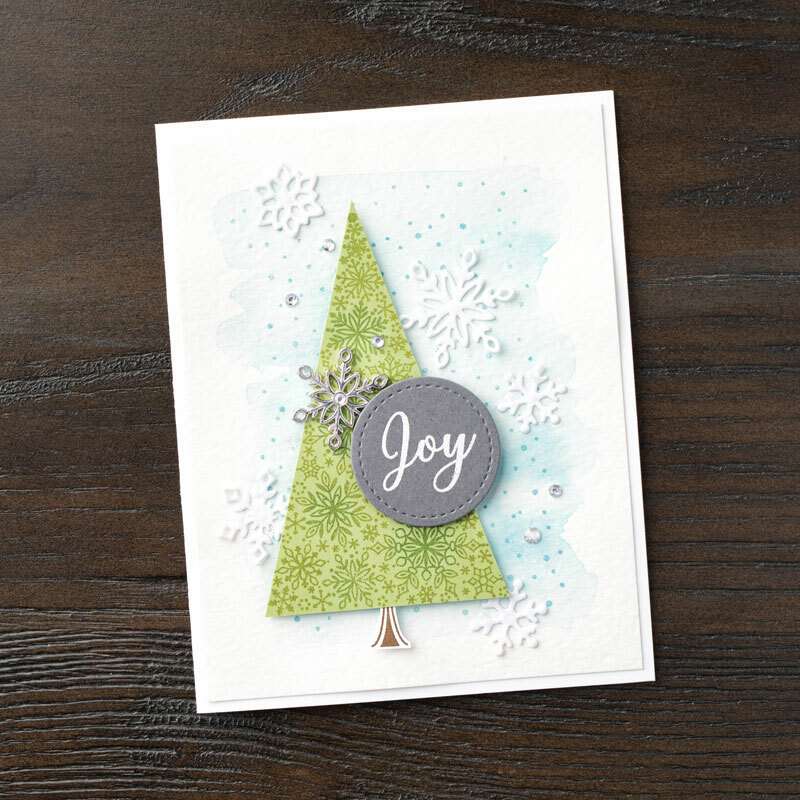 These would be great for Christmas cards, but also for all your winter crafting. Here are some card samples to give you an idea of what you can do with these new products.